I ask my friend Jake, and all of you, to look; I’ve put the streaming winners in red. Funny, there isn’t a lot of red there. Not only that, Emmy voters snubbed The Unbreakable Kimmy Schmidt and Grace and Frankie on Netflix. I contend that these shows are every bit as complex and well-crafted as Veep while actually giving viewers positive characterizations of women and seniors. I’ll go further and say it’s harder to write a character who is inspiring without being saccharine than to write one who’s dark and genuinely damaged. They also snubbed the incredibly excellent Difficult People on Hulu, a show that’s as close to a 21st century Seinfeld as you’re going to get. If the show doesn’t get a writing nod for this season’s episode “Italian Piñata” I’ll really suspect that Emmy voters are out of touch. If this show were on HBO it would have been literally slathered with Emmys. Sidebar: The Emmys continued to reward shows that are more about Hollywood than about “real” America – Let us not forget that O.J. Simpson was a movie actor and that the events played out on TV, all sourced from Los Angeles. As for Transparent, I’ve said before that this is a show that gets undue attention because it’s about showbiz people. If there’s one takeaway (my dear Mr. Buckler) it’s that traditional TV is as important than ever. You’d miss a few shows if you didn’t have Netflix and Hulu, and it’s true that if you have Amazon Prime Video you’ll “eventually” get HBO content over streaming. Of course you can get HBO Now, Starz, and Showtime as streaming subscriptiions too, but that’s not the point… at least not in 2016. No, if you want to watch quality TV, you still need a TV. You still need satellite. 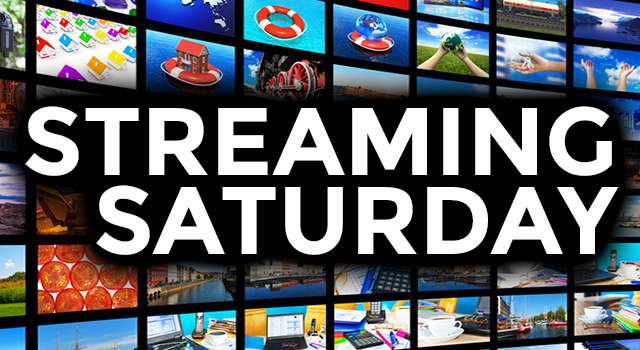 Streaming may help you get through a Saturday, but for weeklong entertainment, nothing beats traditional TV. That’s the real takeaway from all the awards.